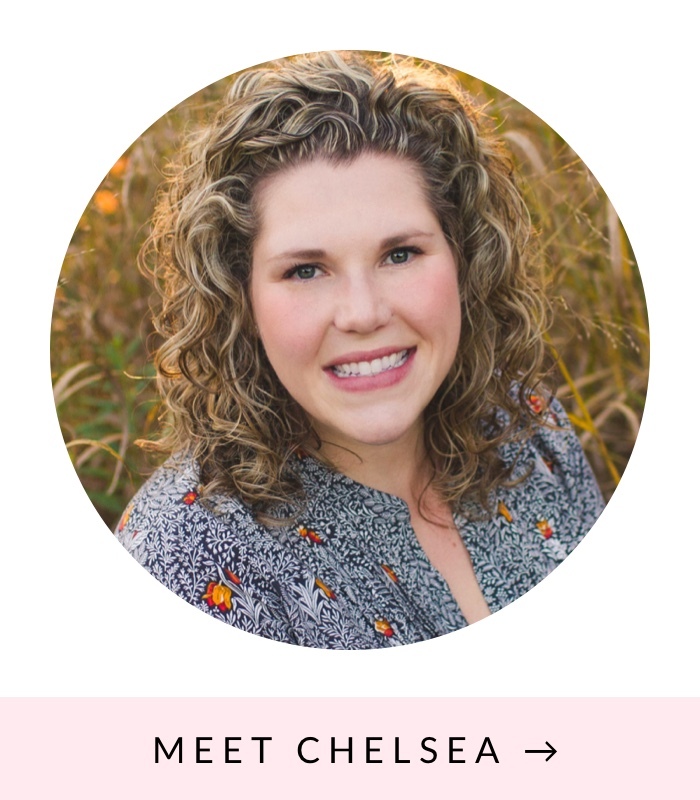 This post is part of a social shopper marketing insight campaign with Pollinate Media Group™ and Tagg™ Pet Tracker, but all my opinions are my own. #pmedia #pettracker http://cmp.ly/3/8vNxcO. There’s no denying how much Brad and I love Jack. He’s basically our first child. And I feel like many people with dogs feel the same way. We fell hard for this little nugget when we adopted him from a rescue over five years ago, and we couldn’t imagine our lives without him. One of my biggest fears is losing him. I’m not a big crier but when I think about him running away and never coming back my eyes start to well up with tears. Yeah, he’s micro-chipped and he wears a collar with his name and our phone number on it, but that doesn’t mean that we’d ever find him and get him back. Well, my worst nightmare came true this spring. I came home from work in the afternoon and let Jack outside so he could do his business and bask in the sun. I went about my business. Like I always do, about 15-20 minutes after I put him outside I went to check on him. When I called for him he didn’t come. He didn’t peek his head around the corner of the house to let me know he was there. So I put on my sandals and went into the backyard, assuming he was being stubborn. I looked to the left side of our yard and saw it. One of the pickets on our fence had fallen off– presumably knocked off by our neighbor when he mowed his yard the previous evening. 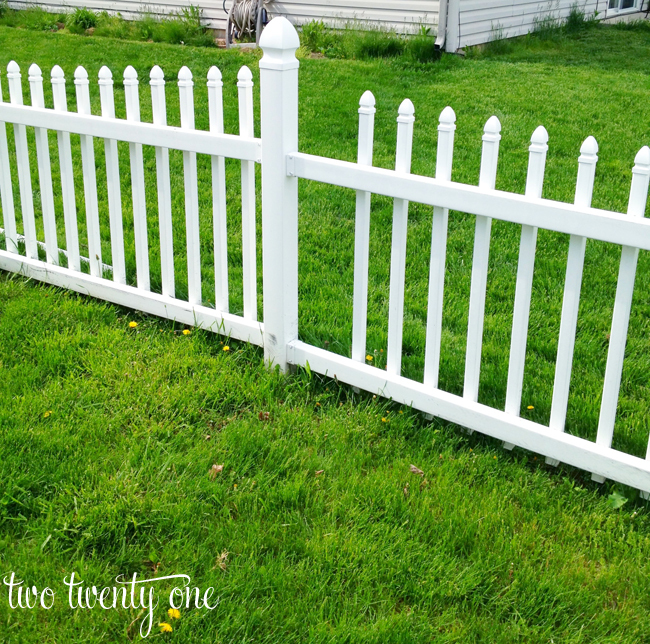 Hoping Jack didn’t see the hole in the fence, I ran to the other side of our yard to see if he was there. Not there. He wasn’t in our yard. He was gone. Sheer panic set in. I started yelling his name and his favorite word, “treat”, at the top of my lungs. “Jack! Treat! Jack! Treat!” I didn’t know which direction to go. I ran around to the front of the house, hoping he was there. Not there. My heart racing, I ran back into the house to grab my phone and call Brad to tell him to rush home from work and help me find Jack. I grabbed my phone and ran into the front yard screaming Jack’s name and “treat” over and over again one more time before trying to call Brad. I wanted to run to find Jack but he could have taken off in any direction. And he had been outside for 15-20 minutes– he could have been blocks away. But thankfully, I spotted him. I’ll never forget it. 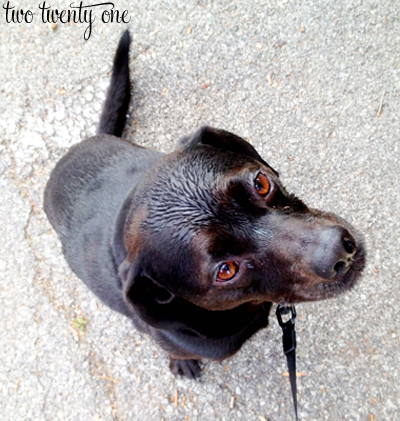 He was about 4-5 houses away, sprinting down the sidewalk toward me, ears pinned back. When he got to my feet he cowered down as to say, “I’m really sorry, mom. 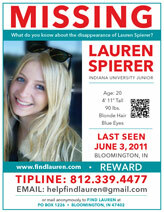 My nose got the best of me.” I was so relieved to see him and thankful he heard me and knew to run home. I showered him with hugs and kisses. And treats. Since this incident, I check our fence after our neighbors (on either side) mow, and I check on Jack every 5-10 minutes when he’s outside. I’ve always half-jokingly said to Brad that I want to attach GPS devices to Jack and our future offspring so if they ever go missing we’ll be able to find them. 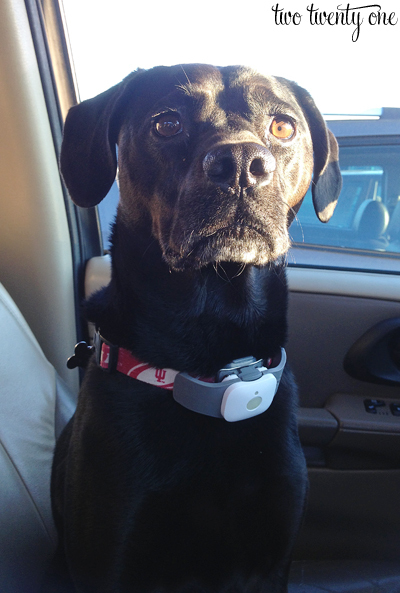 Well, turns out I’m in luck because they make a GPS locator for pets called Tagg. And when I was asked if I wanted to check it out you better believe I said yes. Jack was pretty excited too. 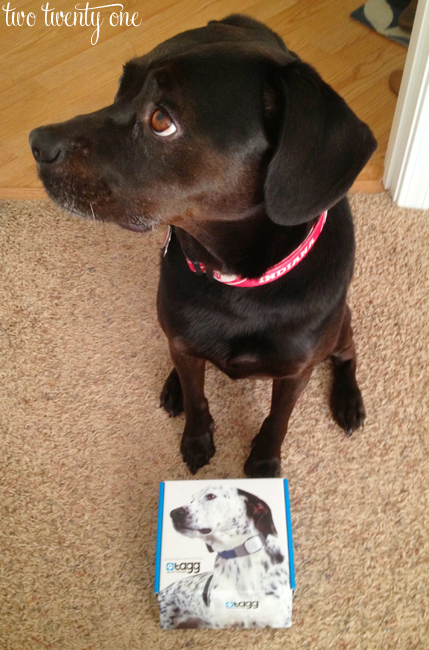 Here he is attempting to copy the dog model on the box. Nailed it. 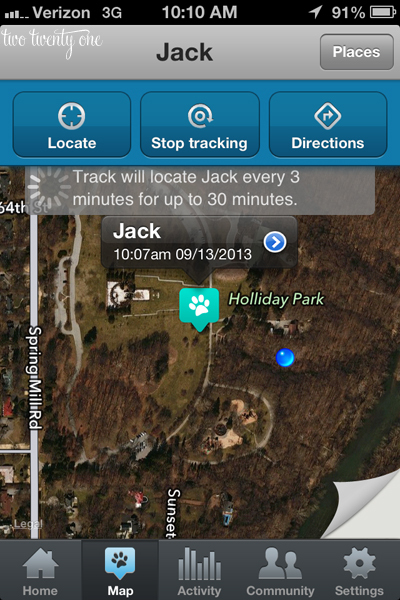 Setting up Jack’s Tagg Pet Tracker wasn’t very difficult and took about 30 minutes. After charging the Tagg device on the charge station (which is supposed to be placed where Jack spends most of his time in our house), I attached it to his collar. 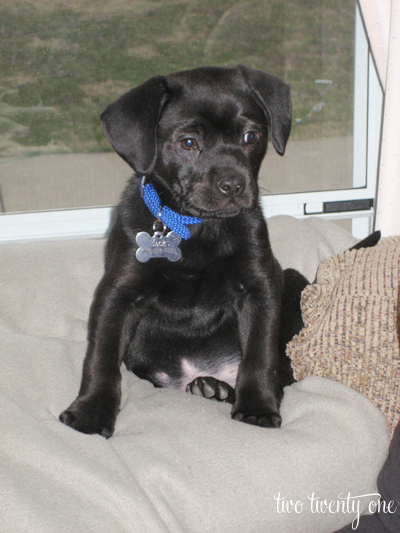 • Tracks your pet via GPS and you can set a Tagg zone so if they wander outside that zone, you are notified. • Tracks both the duration and intensity of your dog’s activity each day – every walk, run or snooze- and helps you have more insight into your pet’s overall health. 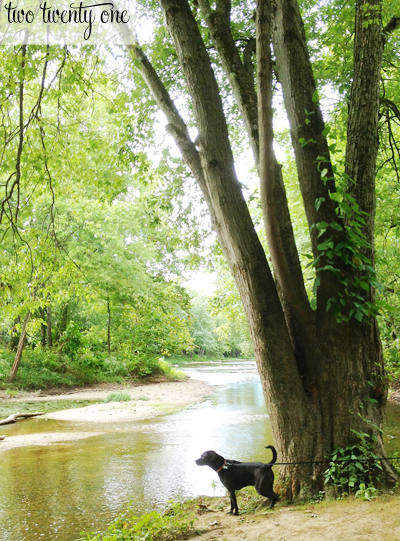 To see if the technology really worked, we took Jack to one of our favorite parks last Friday. Note: he was leashed and with us the entire time. So I started to track him. The paw print was where he was at 10:07. The blue dot is where I (with Brad and Jack) was with my phone at 10:10. 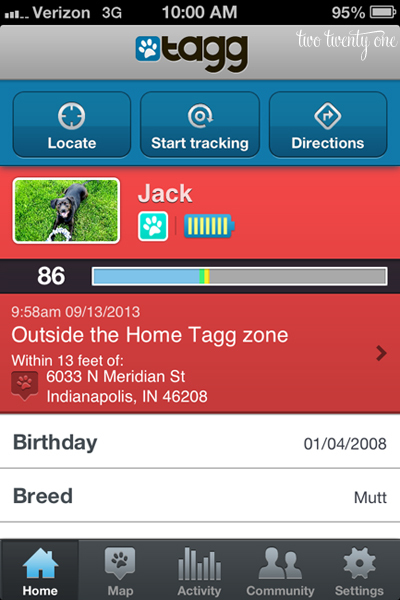 You can set up different alerts (mobile, app, email) to let you know if your pet goes outside the Home Tagg zone. And you can add multiple emails and phone numbers. So along with my notifications, I have it set up to notify Brad if Jack goes outside of the Home Tagg zone. You can turn the notifications off if you take your dog on a walk or vacation so you aren’t getting notifications all the time saying your dog is out of the Home Tagg zone. I will say that it took me a while to get the notifications just right and to figure out how to get them to work the way I wanted them to work. And one time, when I knew he was outside the Home Tagg zone, I had to restart the app in order for it to notify me and begin tracking him. We even tested to see if the device was waterproof (it is), throwing sticks in the water for Jack to fetch. 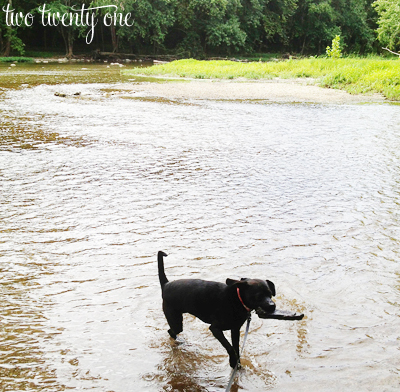 He even accidentally jumped in a deeper part of the river, not realizing there was a drop off, to go after some ducks. I’ve never seen him doggy paddle so hard. 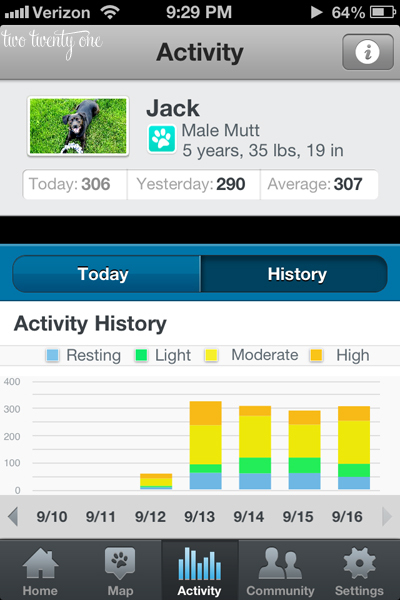 Another cool thing about this device is that it can track your dog’s activity level, and it’s pretty spot on. The daily activity level is measured from 12AM-11:59PM, which is why it’s blue/resting at the bottom. 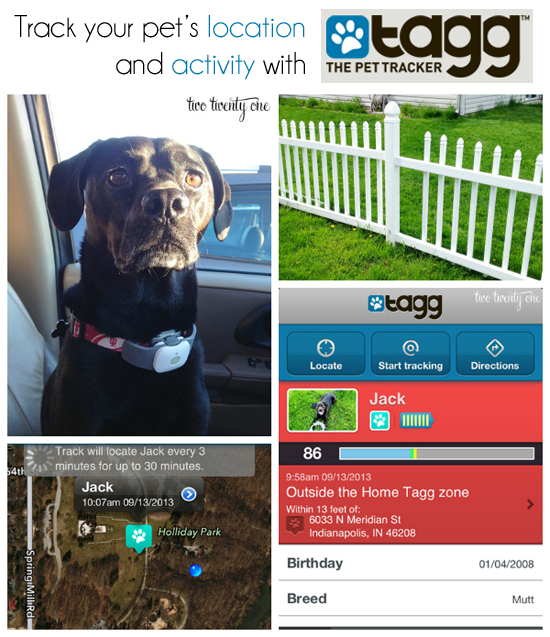 So far we’ve enjoyed the Tagg Pet Tracker. It gives us the peace of mind that if Jack were to escape through the fence or get lost we would be able to locate him. 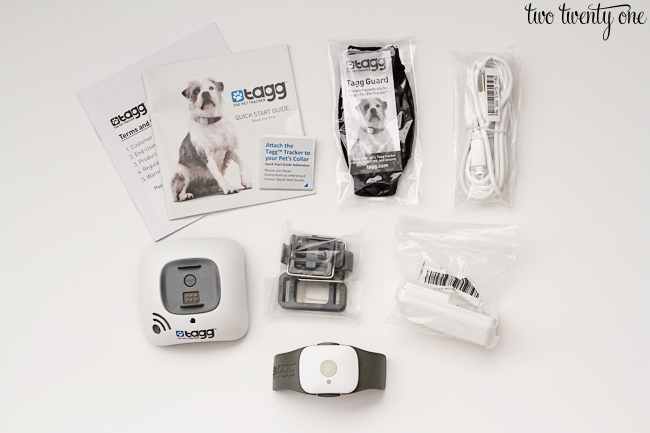 If this is something you may be interested in, Tagg is offering Two Twenty One readers 10% off of a Tagg Pet Tracker. The pet tracker device + 3 months service is normally $99.95. Use the code TAGG10 when checking out. They also have a 30-day full refund if you aren’t happy with the system. Wow, that’s quite a device! Lucky Jack to have people who love him. I love to hear of this. The word ‘Mutt’ sounds so derogatory, doesn’t it. lol Anyway, Jack is wonderful and looks like a happy dog. I feel sorry for the people who don’t love dogs. They don’t know what they’re missing! One thing to note here. If your dog does go missing while wearing the tracker, once you begin actually ‘tracking’ him via the satellite, the battery will drain. FAST. If you’re lucky, you’ll get about 1-3 days out of it. We put them on our rescue foster dogs (they are usually flighty right out of the shelter) and we’ve had to utilize them before, and we’ve learned that once you get a general location, you need to stop tracking them and only do so when you absolutely need to. The more you track, the faster the battery goes. Just so people are aware of this! The nice thing is that the app will show you how much battery life the tracker has remaining. FANTASTIC TOOL to keep pets safe! With the exception of the battery issue, I’m a big fan of these and can highly recommend them!